Government has put in place operational guidelines for the enrolment of students into Lower Sixth Form for 2019, to ensure all learning areas are well subscribed and all classes are viable. In a statement yesterday, Acting Secretary for Primary and Seconday Education Mr Peter Muzawazi said all leaners who passed in five Ordinary Level learning are eligible for selection. Classes start today. “The ministry is informing all heads of schools, all parents and stakeholders that Lower Sixth Form classes begin on Monday, 4 February 2019. Learners who pass in five learning areas are eligible for selection,” he said. Mr Muzawazi said enrolment into Lower Sixth Form shall be based on the O-Level results and learners who passed O-Level achieving five Cs were eligible for enrolment into Lower Sixth. “Every A-Level school has responsibility over its own learners as well as learners from other schools. All A- Level classes are expected to be viable. A viable A-Level class should have about 25 learners. Such enrolment figures warrant Sixth Form allowances for the teachers taking the A- Level classes,” he said. The November 2018 Zimbabwe School Examinations Council (ZIMSEC) Ordinary Level results were released last week. 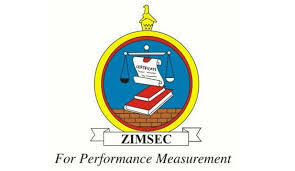 ZIMSEC board chairman Professor Eddie Mwenje said candidates recorded a 32,83 percent pass rate, higher than the 28,7 percent recorded in November 2017. The November 2018 Ordinary Level examinations were the first to be held under the new curriculum. The Ministry of Primary and Secondary Education introduced a new curriculum for the Ordinary Level candidates in 2017.